There can be a number of reasons why you may develop a sore back and the key is to understand how to prevent it. In order to prevent something, however, you need to know how it works in the first place. The reason this is so important for us as riders is due to the nature of our sport. 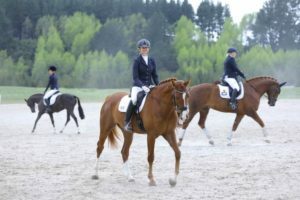 We need to have supple stability through our spine to be able to absorb the horses movement, especially in sitting trot. How your back naturally sits can be affected by a number of things. What is important though is that you understand the natural shape of your spine. Then if you have certain scenarios that may affect your posture, you need to understand how you can counteract that. For example, if you spend a lot of time at in front of your computer sitting down, you are going to develop tight hip flexors and rounded upper back. This will cause stress on certain muscles and over time it will develop back pain. Plus if you will add the impact of the horse to that, you are heading down a sticky dangerous road. Your spine is designed to have natural curves in it so it would be perfectly balanced. The vertebra has disks in it which absorb motion as you ride. If you have developed a poor posture over time, for some reason you are going to affect the way in which that motion is absorbed. Your core is the central part of your body. If you cut off your legs, head, and arms what is left is your core. This has muscles front, back, top, bottom, inside and outside that work to create the balance of your spine and vertebra. Your core is all the muscles involved in supporting your torso. Any tightness or weakness is going to affect the position of your spine and its ability to move correctly. If that weakness or tightness is disregarded, it is going to start to become stressed and if you add stress to this like the movement of a horse, you are likely to cause an injury or pain. 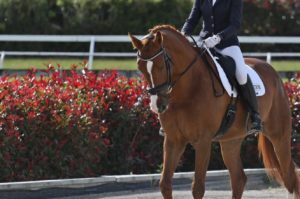 When riding, there is a lot of movement required by the body in order to stay balanced on the horse. The iliac crest or your hip bone which is part of the pelvis moves a lot as your body weight floats up and back with each stride. The iliac crest moves in and out, forward and backward, as well as, up and down. When the movement isn’t happening correctly in the pelvis area this causes it to head straight into the back. It is important to understand what are the muscles required for you to stay in the saddle and what are the muscles that you need to relax. If you grip the muscles of your inner thighs and hip flexors just to grip the saddle, it is going to limit the movement of your pelvis. The key to preventing back pain is to increase your strength through the core and the muscles that support the spine while creating suppleness and flexibility through the hips. If you are aware of your imbalances, you may also need to do any corrective mobility work to help create balance, to strengthen weak muscles, and to loosen tight. When you achieve this balance you are taking the stress off the spine and absorbing the movement of the horse correctly. Get yourself started on improving your rider wellness by downloading our free guide. 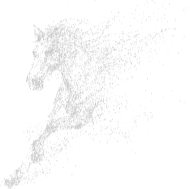 Then be sure to check out our 12-week Dressage Rider Training program. 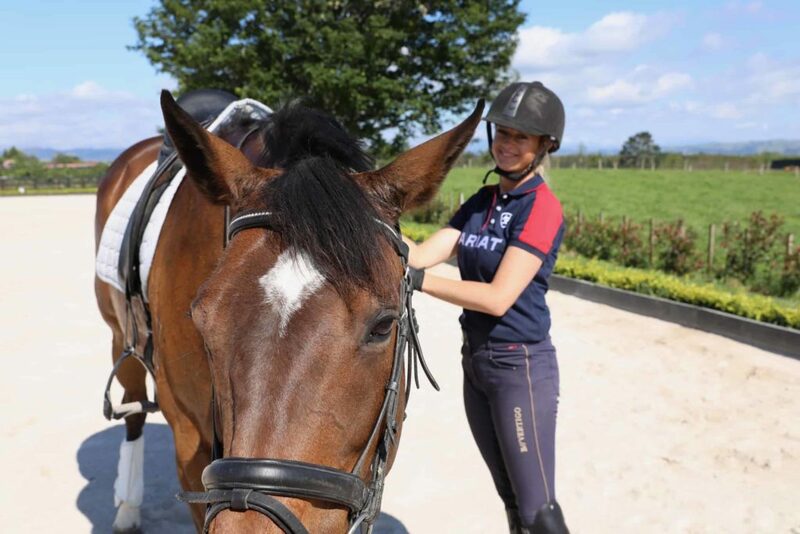 Specifically designed for you as a rider to be more balanced, centred and stable in the saddle. Core workouts, yoga and strength along with specific stretches to help you be more aligned. Learn more here.